The longer I stay in my community, the more I care about the city and the individuals who live here. I have always wanted everyone to have enough—food, shelter, a place of belonging. That informs how I vote, where I shop, how I spend time and how I interact with people. But the old enough is no longer enough. I want more from and for my local community. My parishioners encourage me to be out in various communities, learning about new ways Trinity can collaborate with the city, county, businesses, and nonprofits in order to care for the people who are neglected, discriminated against, forgotten, and invisible. This has led me to participate in networks like the Region 3 Housing Coalition, serve on the Mayor’s Bike-Pedestrian Advisory Committee, and attend Chamber of Commerce events. No surprise, I now see more clearly both the systemic strengths and growing areas in Nampa and Canyon County. Something else surprising has changed in me. I see the bricks and mortar of the city differently and I am becoming more interested in and passionate about community planning. This is not a completely new interest of mine. Every time I go back to my hometown of Custer, South Dakota I am curious to see what has changed on main street. 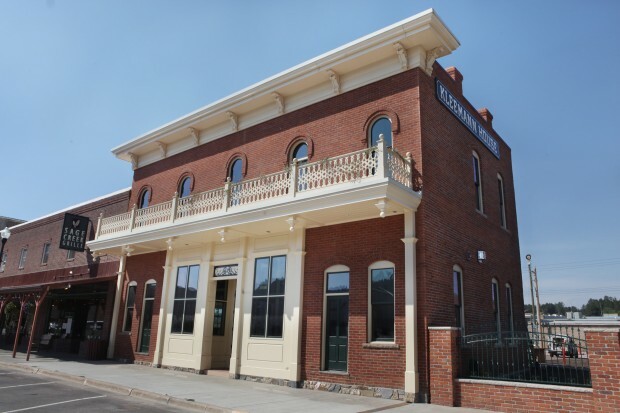 I am elated when old buildings, like the Kleeman House below, have been transformed. There are new houses and businesses going up on the edges of Nampa and throughout the county, all taking over farmland which we will never get back. I much prefer when new businesses buy and remake old businesses, or level dilapidated buildings and build something with character. 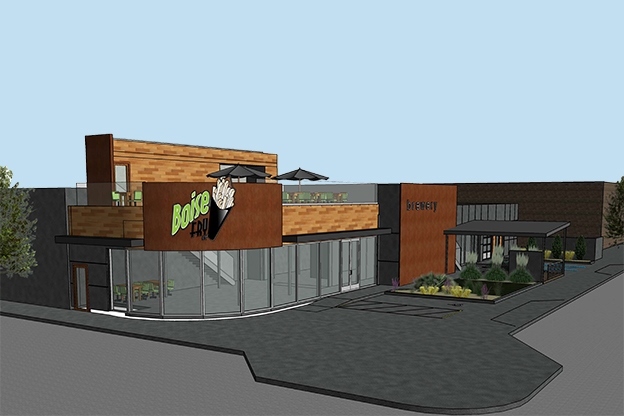 I was so excited when I learned that the ugly corner across from Library Square in Nampa was being transformed into a Boise Fry Company restaurant. The Lighthouse Rescue Mission, a homeless shelter for men in Nampa, moved several years ago. The old building on Caldwell Blvd was torn down and the large lot stood empty. A few months ago I saw that large cement pads had been poured. Having learned first-hand about the lack of affordable housing in Nampa, I day dreamed that low income housing would be built. Next I imagined a new city park. Finally, I resolved myself to mixed business space—retail, food, offices. When I asked a friend who works for the city what was going in I was so disappointed—storage units. I know that housing prices are rising and was recently told that storage rental rates are also increasing. This makes me very sad, sad that we do not have rules that prohibit prime lots with such potential to be covered with storage units. I am sad that residents of Nampa have so much stuff. There are good reasons to have storage units within the city, like people who are temporarily working somewhere else, people moving to a new home but have not yet sold their old home, or people waiting to sell possessions at auction. What is the role of congregations in this conversation about city planning? We are called first of all to be good stewards of our own property, to keep it spruced up and, when possible, to have it complement its surroundings, sometimes as an attractive anchor and other times as simply one more piece of a neighborhood. Congregations have voices and congregations are made up of many individuals with their own voices. We can speak and write to our elected officials–asking about zoning rules and encouraging changes. What should we promote? Whatever is life giving. That might mean housing, green spaces, community buildings, businesses who treat their employees justly, local businesses, places that help foster wellness. Most congregations own buildings with meeting spaces. We can provide a place of hospitality for peaceful dialogues and panels and forums. Periodically there is someone or some group that calls out our obsession with stuff. Some of my readers may have heard the recent interview on NPR with The Minimalists. I mention this to admit that people of faith do not have a monopoly on this topic. We are not the first or last to point out how life-sucking an obsession with stuff can be. It is not the stuff itself, it is how it can consume us, especially when we are consumed with how we will never have enough. Christians are not the only faith or the only people who have language to address this illness but we have some experience with it and I hope we invite ourselves into whatever conversations our communities are having about stuff. In the meantime, I will continue to periodically purge the storage spaces at Trinity Lutheran Church. 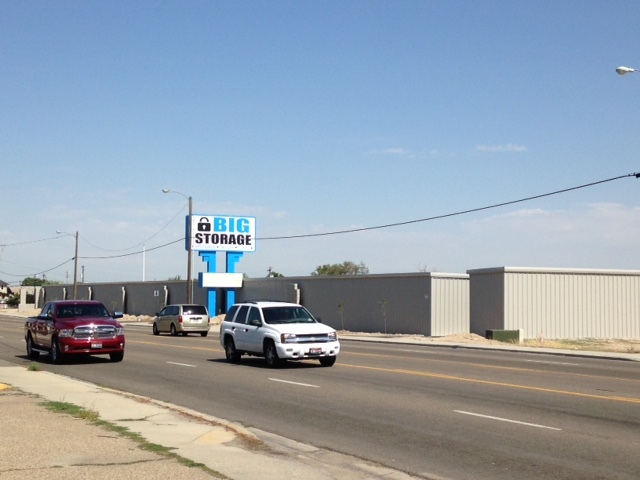 We will not be renting any units of Big Storage on Caldwell Boulevard. Storage units……..follows the August theme of “abundance vs scarcity”. A challenge to each of us to downsize our stuff and use the money we would have spent on storage units for something that benefits the community. Perhaps a donation to Boisr Rescue Mission? !